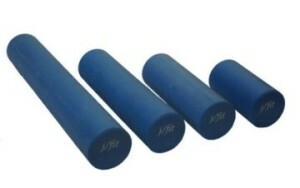 A foam roller is a great tool to decrease muscle tightness, improve flexibility, and improve muscle strength/stability. It is inexpensive and easy to use anywhere in your home. Listed below are the benefits of using a foam roller and examples of foam roller exercises. 1. Decrease muscle tightness- Place the foam roller on a trigger point. You can either maintain pressure on the spot or perform gentle oscillations over the trigger point. Perform this self massage technique no more than 5 minutes per muscle. 2. Improve Flexibility- Laying with your back on the foam roller, elongate your arms to stretch your pectoralis muscles. 3. Improve muscle strength/stability- There are many exercises you can perform on a foam roller to improve muscle strength/stability. Laying with your back on the foam roller, alternate lifting your arms and legs. If you want a really challenging exercise, stand on a foam roller and perform a squat. If you would like to learn more about how you can use a foam roller to achieve your exercise goals, give Harbor Physical Therapy a call.